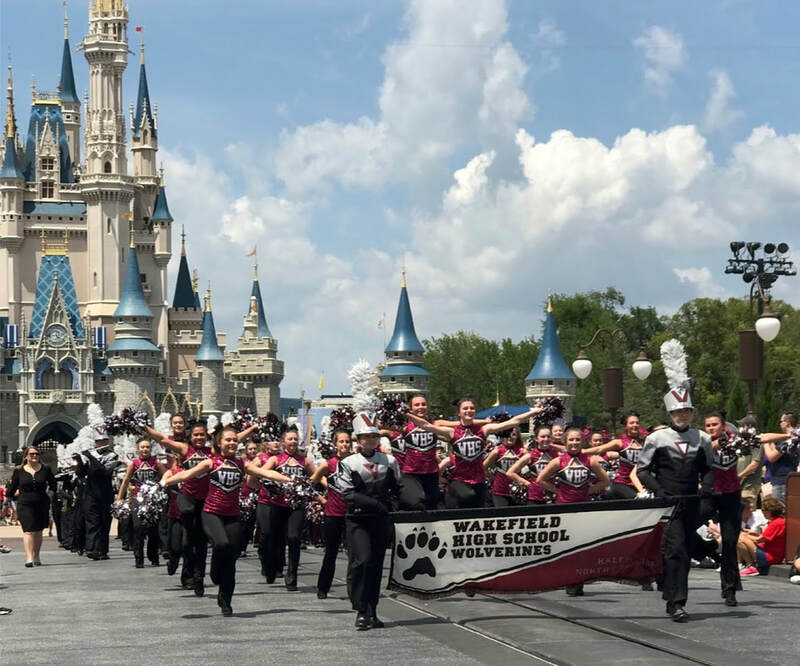 The Wakefield HS Marching Band has been one of the staple groups of the band program since the school opened. The marching band consists of brass, woodwinds, percussion, and color guard. They perform pre-game, half-time, and pep tunes at home football games. The marching band also performs at several competitions throughout the fall. Additionally, the band performs in parades and other special events. 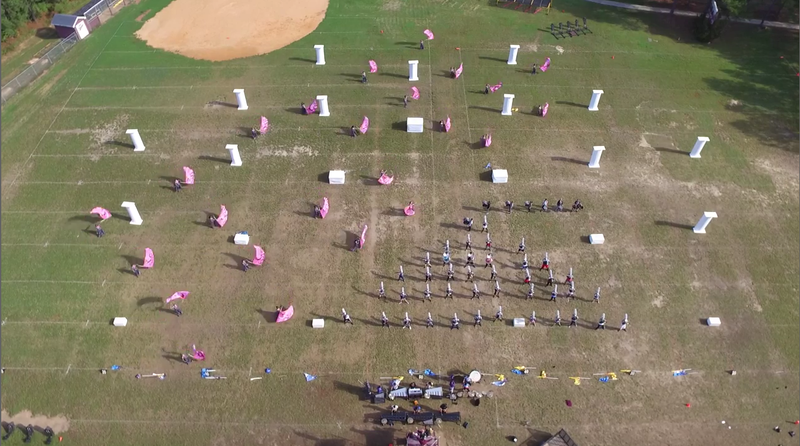 The marching band has a history of tradition and a great student leadership training program. Students have received multiple awards and accolades over the years for their visual and music performances. The marching band season typically starts in late May or early June. The season typically ends in early November, minus parades (which take place in November & December) and any special events planned throughout the rest of the year. 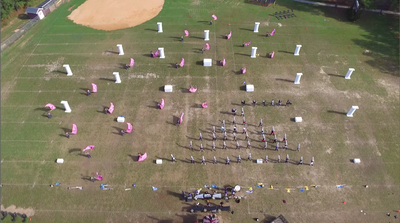 Every April, the band hosts their annual Marching Band interest meeting. This meeting is a great opportunity to meet veteran & new families, learn about many aspects of the program, receive registration information, and learn about the half-time/competitive show for the next season. Currently, marching band is co-curricular for winds and percussion. This means they must be signed up for the class during 4th period in the fall in addition to the after school commitments. Color guard is currently extra-curricular only. They must attend summer camps and after school rehearsals. 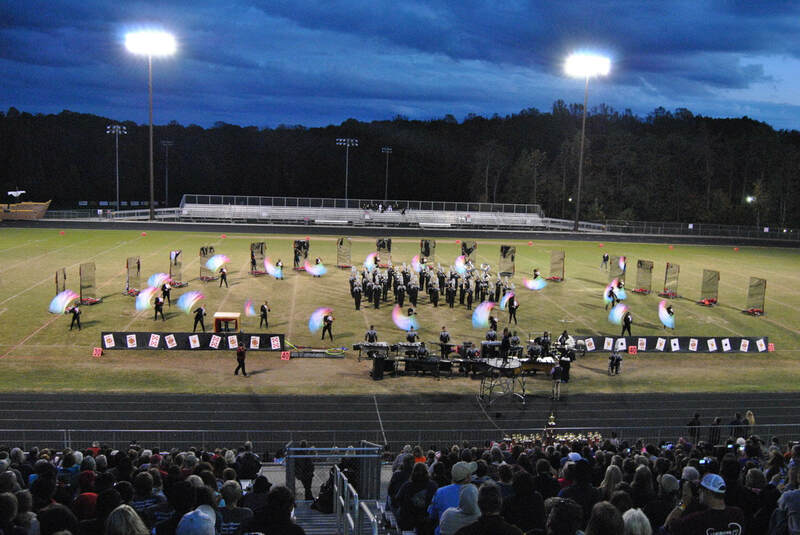 ​Below are documents related to Marching Band for this school year. There is a fee that all members must pay to be part of the marching band. We determine these factors at the Booster Board meetings in the spring, dividing the total cost among the number of participants, resulting in every students "Fair Share." There are multiple opportunities throughout the school year for families to raise funds for the overall program (which reduces costs for everyone) as well as for their specific family. Many families have been able to raise their entire "Fair Share" through fundraising. 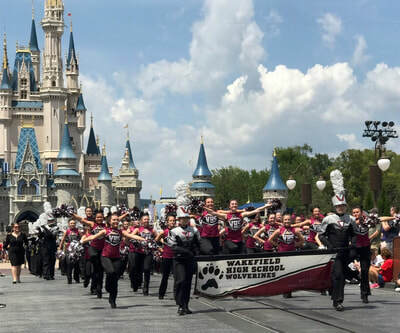 Additionally, the band has an application process for Financial Aid for families that need monetary assistance or have unexpected events arise. The band program never wishes for a family to be excluded from participation for financial reasons.